Hi everyone! 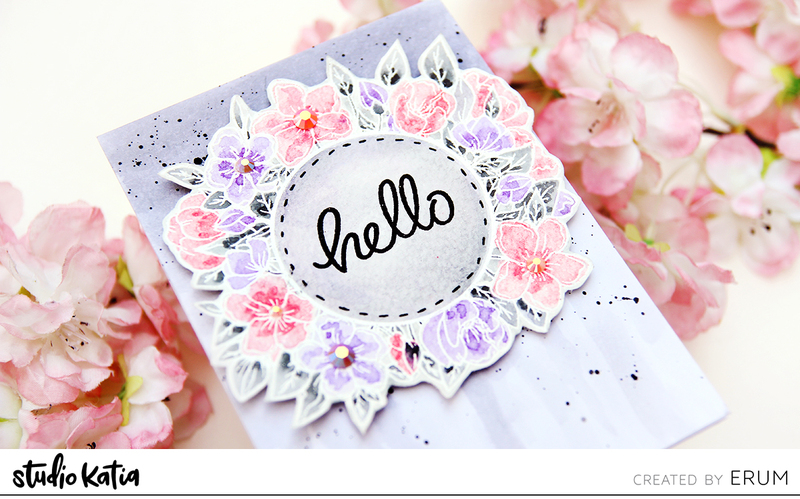 It’s Laura here and today I am back with a card featuring the new Jawesome stamp set! Stay tuned until the endo of this post, as there is a video tutorial showing how to make it! As a first step I started working on the ocean background. I die cut some Canson XL watercolor cardstock with the scalloped rectangle die in the Scallop Hearts Cover set and did some very quick watercoloring with Gansai Tambi watercolors. I also created a sand bank by die cutting some more watercolor cardstock with the Darling Ribbon & Frame dies and the Trimmings Border dies. I painted it with Gansai Tambi Watercolors and I started working on my images. The stamp set I used for today’s card is the new Jawesome stamp set. I stamped the images with hybrid black ink on Neenah Solar White 110lb cardstock and colored them with Spectrum Noir markers. I then die cut them with the coordinating dies. Next, I die cut the ocean background with the Scallop Hearts Cover set. I created an inlaid die-cutting effect by adhering the ocean background to a white base using one layer of foam tape. 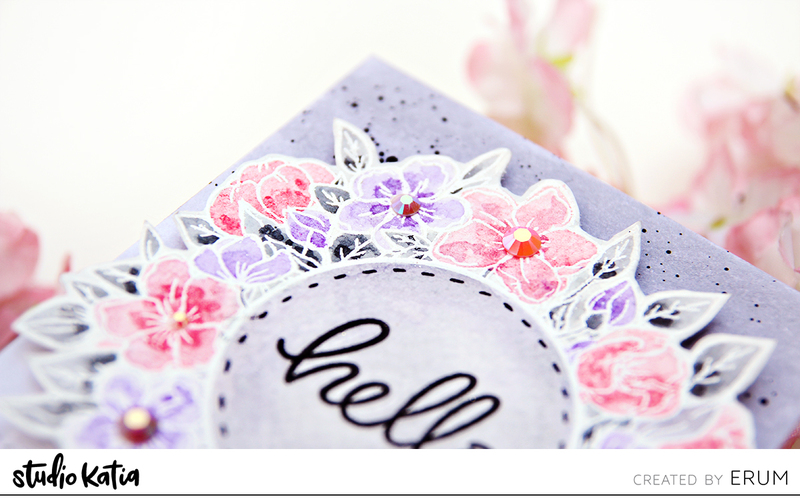 The white base was die cut with the Darling Ribbon & Frames dies. I created my scene and glued all the elements in place, raising the sharks on some foam tape. I heat embossed the sentiment with white embossing powder and added some final details with a white gel pen, a Spectrum Noir Clear Overlay Pen and some Nuvo Drops in Morning Dew. And that’s my card for today! As I mentioned at the beginning of this post I recorded a video tutorial for you, showing how to create this fun ocean theme card. You can watch it down below or directly on the Studio Katia channel.